(Shortlisted for the 2017 Michael Sedgwick Award). With a living legend such as Sir Stirling Moss, we ALL believe we know him and whilst that to an extent is true, in that we know SOMETHING of him, and how he has impacted on our own lives, there is, naturally something left out. Something missing. If I glance at my book shelves I have half a dozen Stirling Moss books, all of which purported to tell the story and so I approached this 640 page tome with an air of “ok, so what CAN be new”. The answer is, in essence – EVERYTHING. This book has been written after Porter was allowed unfettered access to Sir Stirling’s legendary diaries and scrap-books. Yes, we have seen much from the latter in previous Porter Press titles, but the true meat, and the revelation factor in this one is how much we get to learn about the man, about who Stirling Moss really was and is. 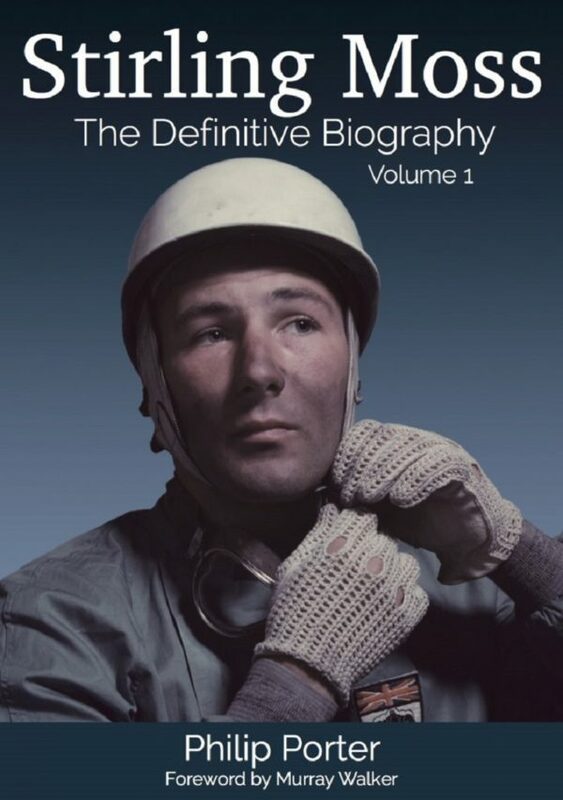 This first volume takes us from Stirling’s birth up to the “bench mark” 1955 season where he won his greatest race, the Mille Miglia and then faced his role in the greatest motor racing disaster and the withdrawal of Mercedes Benz, his team, from his sport. The details flow from this book at a pace which is almost unprocessable. On more than one occasion I had to re-read sections just to fully grasp the details laid before me. For motor racing fans and Moss fans this is a simple “must have” – my only reservation is that the level of detail and its presentation here is bordering on the forensic and as such, much of the passion and excitement of what is a true “Boys’ Own Story” is lost in the minutiae. Price: £35. 640 pages (245mm x 180mm), hardback with dustjacket.